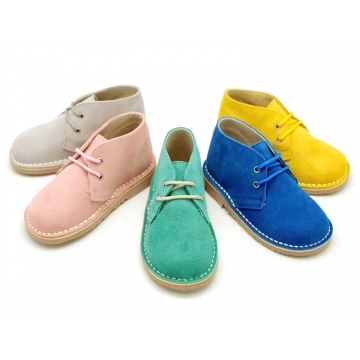 Classic suede leather Safari boots with ties closure in spring colors. SPECIAL EDITION. SIZING LARGE. Shiny suede leather safari boots with ties closure and stars print design and SUPER FLEXIBLE SOLES. 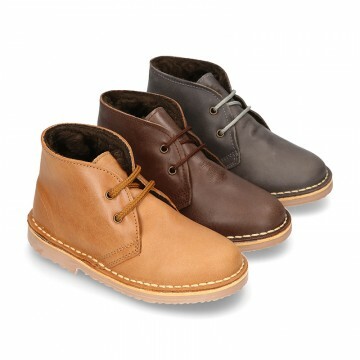 Casual Safari boots in tanned leather with combined soles for boys and das too. 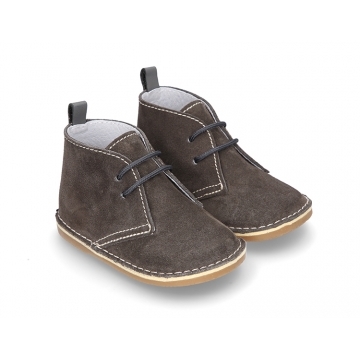 Suede Safari leather boot shoes with shoelaces and fake hair lining for kids. 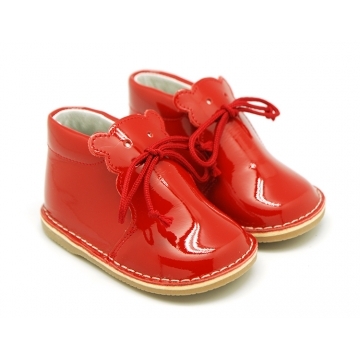 Little Bear Safari boots for babies and pre-walkers with laces and extra flexible soles in white color patent leather. 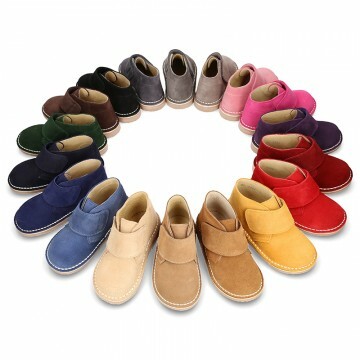 SPECIAL FOR BABIES AND FIRST STEPS. 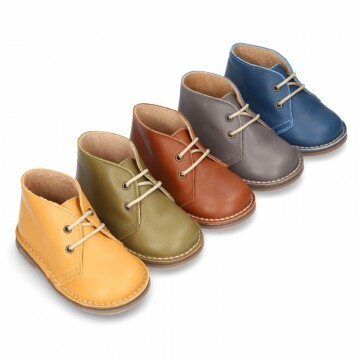 Little BEAR Safari style boots for babies in suede leather and seasonal colors with ties closure and SUPER FLEXIBLE soles. SPECIAL MODEL FOR BABIES. 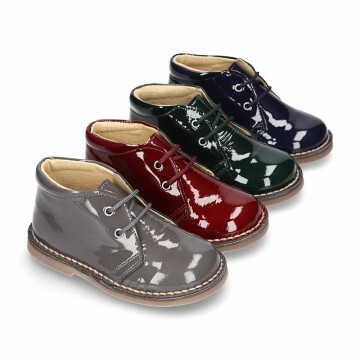 Classic Safari boot shoes with ties closure in shinny suede leather for girls. 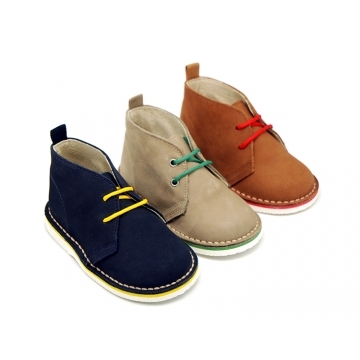 Classic Safari boots in Nubuck leather with ties closure and white color soles for spring season for kids. SIZING LARGE. 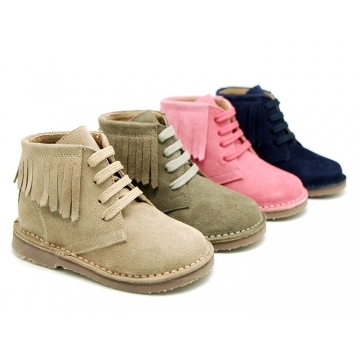 Suede leather Safari boots with shoelaces and flashes print design in pastel colors for boys and girls. 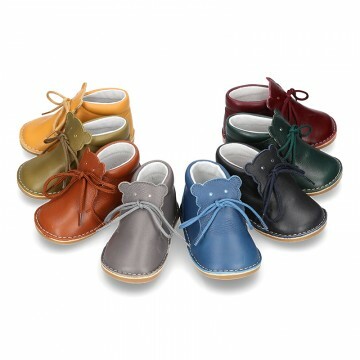 Little Safari boots for babies with velcro strap closure and wool knit lining with flexible soles in suede leather. SPECIAL MODEL FOR BABIES. 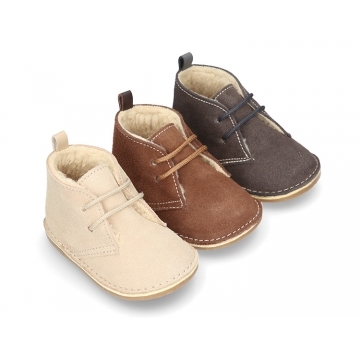 Little Safari boots for babies and pre-walkers in suede leather with ties closure and SUPER FLEXIBLE SOLES. SPECIAL MODEL FOR BABIES. New casual Safari boots in nappa leather with SUPER FLEXIBLE soles for kids. Classic Safari boot shoes with ties closure and fake hair tongue in shinny suede leather combined with patent finish for girls. Little safari boots in suede leather with velvet ties closure, fake hair tongue design and super flexible soles for first steps. 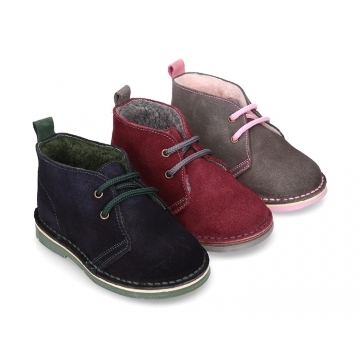 New Little baby BEAR design safari boots in extra soft nappa leather with ties closure and super flexible soles. SPECIAL MODEL FOR BABIES. New Classic Safari boot shoes with ties closure and HEART print design in suede leather combined with patent finish for girls.